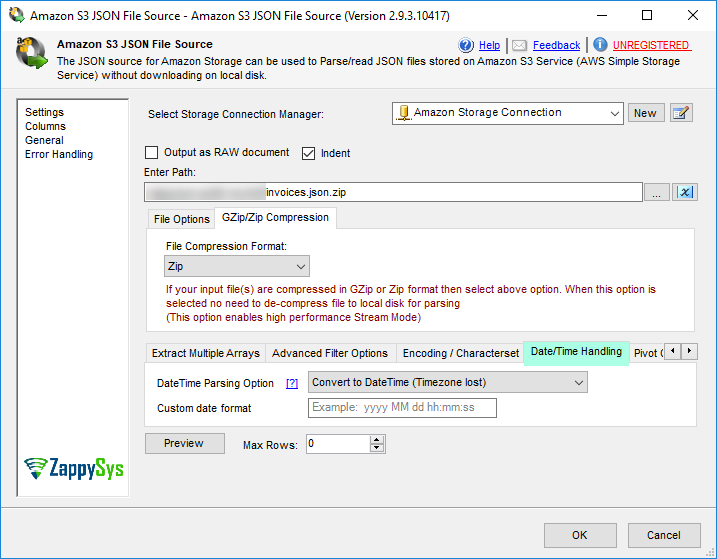 SSIS Amazon S3 Source for JSON File can be used to read JSON files from Amazon S3 Storage (i.e. AWS S3 Service). 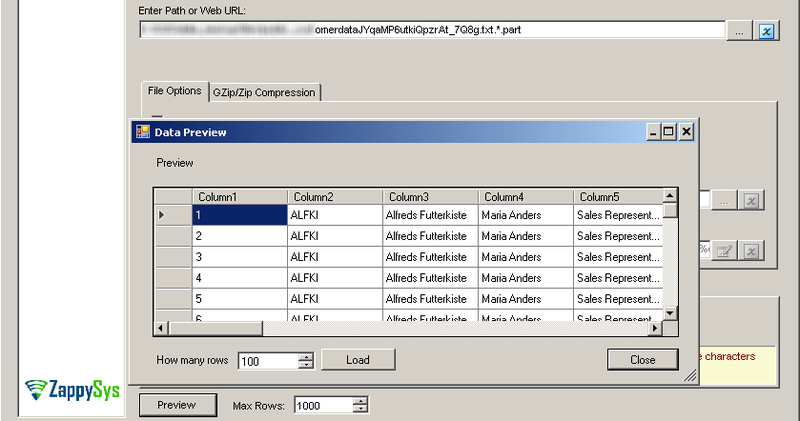 You can extract data from single or multiple files (wildcard pattern supported). Also you can read compressed files (*.gz) without extracting files on disk. Support for Path expression to extract data from any level (e.g. Extract Orders nested under Customer Node).